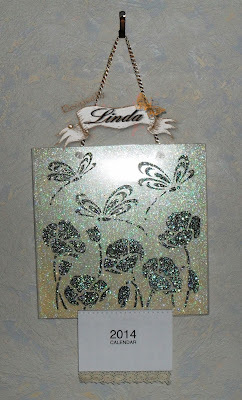 Today I would like to showcase my project for the new challenge over at Imagination Crafts Challenge Blog. 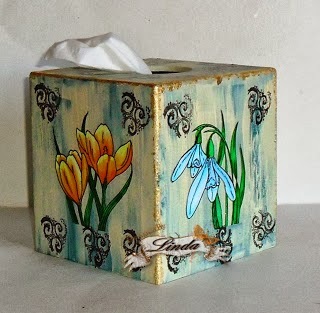 I have decorated an MDF tissue box using Imagination Crafts Products. I have used the Decoupage stamps sets of the Crocus and the Snowdrop. Painted with MDF Paint in Limestone and Crackle Medium. I have added Gilding Flakes to all the sides. This now takes pride of place in my newly decorated Lounge.